Duration: One week lead time. Trainer Bubble are pleased to be able to provide our customers with training course materials that are accredited and certificated by the CPD Verification Service. This accreditation provides assurance that our materials meet a professional standard, as well as providing our customers with the opportunity to purchase CPD certificates to award to their participants post training should they want to. The key benefit of accredited training materials is that you can market the training as such to your participants, which of course will provide added credibility to the training you deliver. It is also an opportunity to highlight the courses credentials in any marketing literature you provide. Another benefit is that you can order CPD certificates after an accredited training course and provide them to participants. The CPD Verification Service works across all business sectors providing independent accreditation of CPD. With a team of experts in the assessment of CPD and its standards, they provide support to organisations, ensuring they meet the professional requirements of CPD accreditation. The CPD Verification Service verify CPD independently, ensuring learners achieve CPD through impartial means. Visit the CPD Verification Service website at – CPD Verification Service. Place an order for the number of certificates you require (you can select multiples) and make payment at checkout. The cost of each certificate is £10+vat with reductions for multiple purchases. Complete the certificate form provided for download in the confirmation email you receive. This includes the Trainer Bubble course title, Participant/s list and the details of the person or company that is placing the order. Once completed, email the form to Trainer Bubble. Trainer Bubble will review the details of the form, checking that the person or company placing the order has previously purchased the relevant Trainer Bubble training course. They will also check that the correct payment has been made for the requested number of certificates. Trainer Bubble will email certificates provided by the CPD Verification Service to the email of the person that purchased them. These will arrive as .pdf certificates, ready to be printed out by the purchaser. 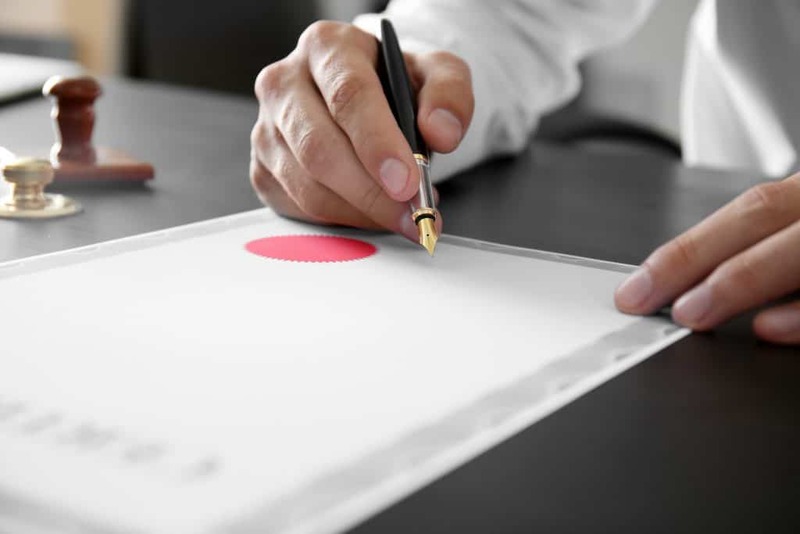 There is also space for the Trainer or company to sign and date each printed certificate. The certificates will include the name of the participant, the name of the person or company providing the course and the course title. They also include a CertCheck to help prove validation. 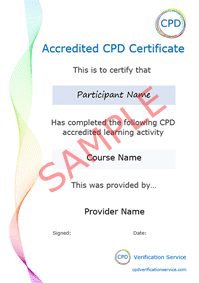 Download the CPD Verification Form – Certificate Pack – CPD Verification Service. You will also receive this when you place a purchase. Please note: We will not accept certificate requests from individuals who purchase a course and request a certificate in their own name. Certificates are only provided for people that run training courses for others. In these instances, we refund the cost of the certificate, but not the course. Add credibility to your training course and provide your participants with valued CPD certificates.